Lake area varies greatly according to rainfall, with an average range between 114 and 991 sq kms. 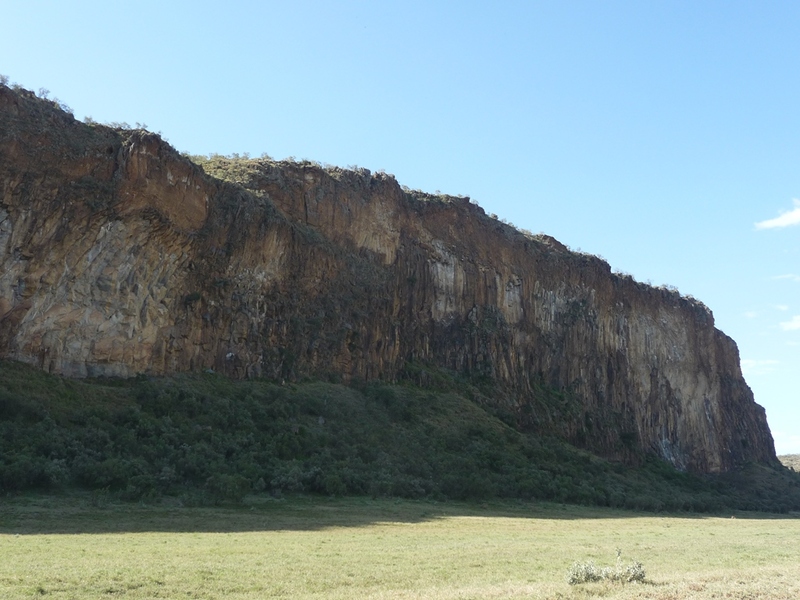 At the beginning of the 20th Century, Lake Naivasha completely dried up and effectively disappeared. The resulting open land was farmed, until heavy rains a few years later caused the lake to return to existence, swallowing up the newly established estates. Afternoon wind and storms can cause the Lake to become suddenly rough and produce high waves. 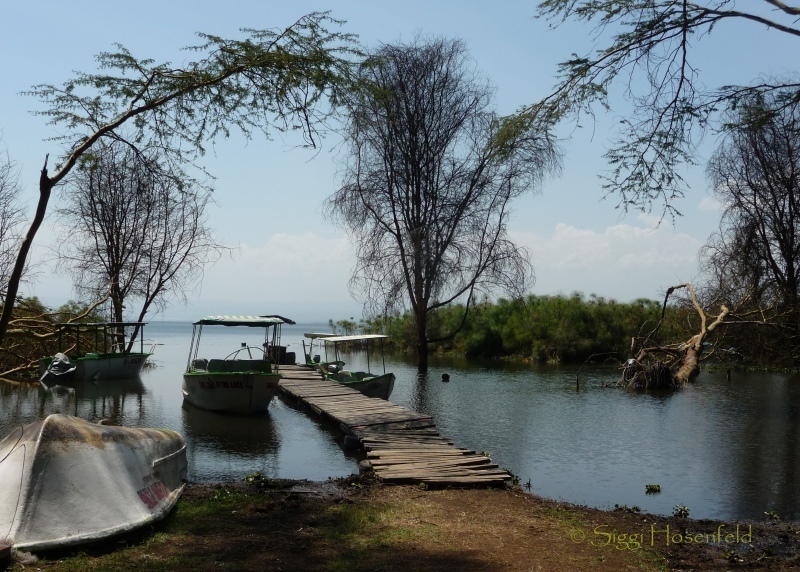 For this reason, the local Maasai christened the Lake Nai’posha meaning 'rough water', which the British later miss-spelt as Naivasha. The lake and its surrounds are rich in natural bounty, and the fertile soils and water supply have made this one of Kenya’s prime agricultural regions. Much of the lake is surrounded by forests of the yellow barked Acacia Xanthophlea, known as the yellow fever tree. These forests abound with bird life, and Naivasha is known as a world class birding destination. The waters of the lake draw a great range of game to these shores. Giraffes wander among the acacia, Buffalo wallow in the swamps and Colobus monkeys call from the treetops while the Lakes large hippo populations sleep the day out in the shallows. The region surrounding the Lake is well worth exploring. There are two smaller lakes nearby, Oloidien, and Sonachi, a bright green crater lake. Hell’s Gate National Park lies beside the lake. This Park was named for its pair of massive red tinged cliffs framing a geothermically active interior of steam vents and bubbling springs. The park is home to a profusion of plains game and bird life. Walking is permitted, making it ideal for hiking, biking, and rock climbing. Boat trips on the lake are widely available, and it is a great way to spend an afternoon or morning. Sunsets are always stunning, with the haunting call of a Fish Eagle high over the Lake bringing the day to a perfect end!